ST. GEORGE — It has been 156 years since St. George was officially established as a town on Jan. 17, 1862, and a lot has changed since then. To honor those that helped build St. George and to teach the community about its past, the city is hosting the annual “Heritage Day” celebration Saturday. Started by former St. George Mayor Dan McArthur, Heritage Day observances will include free entrance to city recreation and art facilities as well as free SunTran transportation. 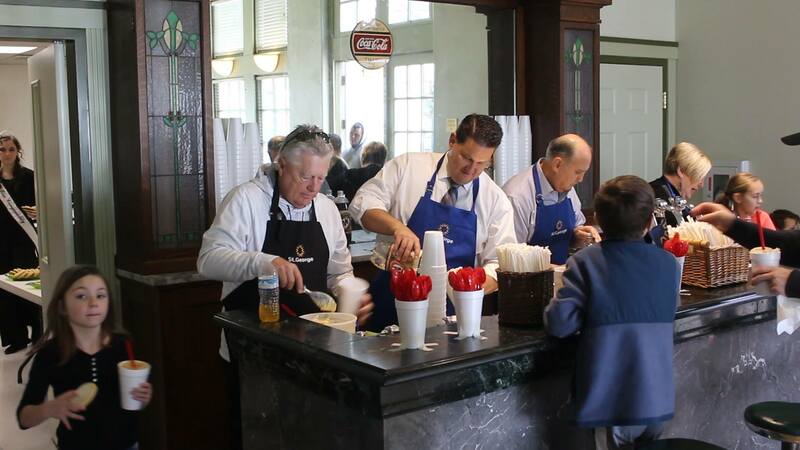 The event will be highlighted by a root beer float social at the historic Social Hall. The event was designed to celebrate the birthday of St. George – the day St. George was officially established – and to help residents understand the heritage that exists here, said St. George City Manager Gary Esplin. For nearly two decades, the celebration has seen iterations both large and small. The largest celebration being for the sesquicentennial, said Marc Mortensen, the city’s support services director, which included historical reenactments of the settling of St. George. There were a lot of sacrifices made by the early settlers to build what is now St. George, Esplin said, adding that Heritage Day is a great way to explore our town’s history. Esplin, who will be retiring soon, was born and raised in St. George, he said, and has a great love for St. George, particularly its downtown historic district. You can tell a lot about the heart of a city by the way its downtown looks, Esplin said. One of Esplin’s legacies as city manager was being part of several renovation projects – including the St. George Opera House and Social Hall – that helped revitalize the city’s downtown space and pay tribute to the heritage of those who came before. One hundred-fifty-six years ago, it wasn’t the St. George of today, Mortensen said. The once pioneer settlement has seen tremendous growth, particularly from the 1970s on, which came as a result of more widespread availability of residential air conditioning units. Prior to that, living in Southern Utah’s notoriously hot, dry summers was difficult at best. The early settlers were often disgruntled with the harshness of the conditions. 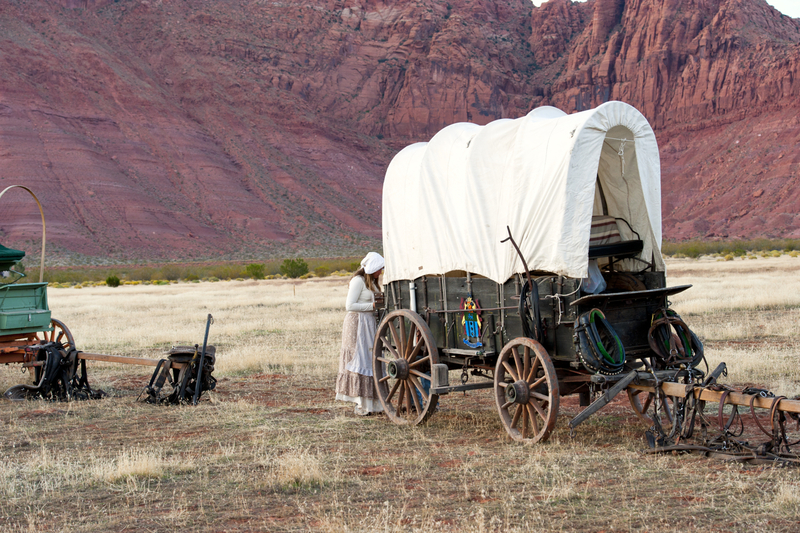 Arrived in St. George on the afternoon of the 9th of December 1862. All well; my wife in good health. Cattle in good order. Got me a city Lot and 2 1/2 acres of land. St. George is a barren looking place. The soil is red and sandy. On the north ranges a long high red rocky bluff. On the East is a long black ridge of volcanic production. On the west the same. On the south runs the Virgin River, a shallow, rapid stream from which a great portion of the land is irrigated. To look on the country it [is a] dry, parched, barren waste with here and there a green spot on the margin of the streams. Very windy, dusty, blowing nearly all the time. The water is not good and far from being palatable. And this is the country we have to live in and make it blossom as the Rose. Despite the dire conditions the settlers faced, Brigham Young, then president of the The Church of Jesus Christ of Latter-day Saints, predicted that “there will yet be built, between those volcanic ridges, a city with spires, towers and steeples, with homes containing many inhabitants,” according to an excerpt from the book “Erastus Snow” written by Andrew Karl Larson. 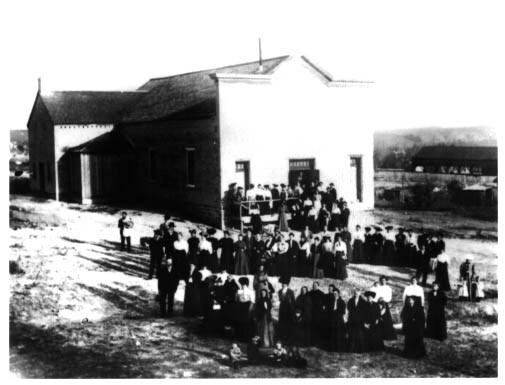 To help mitigate some of the suffering of the settlers, Young had the St. George Opera House built to house plays and other entertainment offerings, Esplin said. The restoration of the Opera House and Social Hall for use as entertainment and social venues has been a great tribute to Young’s vision as well as the pioneers who created a town out of dust. In that same spirit, Heritage Day will host a variety of activities that honor the past and look forward to the future. A future which Mortensen said is really bright. “I think these next 10 years are going to be milestone years,” Mortensen said. Join the mayor and City Council for a root beer float social held in the St. George Social Hall, 212 N. Main Street, St. George, from noon to 2 p.m. The mayor and council will be serving up free root beer floats and cookies. Live entertainment will be provided by Dulce. Dulce, from the Spanish word meaning sweet, is the name that Michael and Jaki King have chosen to name their music duo. The duo have been married for 11 years. The talented musicians can play several instruments between them and will be playing a mixture of classic pop, rock and country from several different decades. There will be free entrance to the St. George Recreation Center, 285 S. 400 East, the Sand Hollow Aquatic Center, 1144 Lava Flow Drive and the St. George Art Museum, 47 E. 200 North for the community to enjoy. Entrance to the recreation center will be free from 7 a.m. to 6 p.m. guests are welcome to come play basketball, lift weights and enjoy the facility. The St. George Art Musuem will be open from 10 a.m. to 5 p.m.
What: St. George Heritage Day. When: Saturday, Jan. 20 | Root Beer Float Social, noon to 2 p.m. | Free entrance to St. George Art Museum, 10 a.m. to 5 p.m. | Free entrance at St. George Recreation Center, 7 a.m. to 6 p.m. | Free open swim at Sand Hollow Aquatic Center, noon to 6 p.m. | Free SunTran bus rides, all day. Where: St. George Social Hall, 212 N. Main Street, St. George | St. George Art Museum, 47 E. 200 North, St. George | St. George Recreation Center, 285 S. 400 East, St. George | Sand Hollow Aquatic Center, 1144 Lava Flow Drive, St. George. City of St. George: Website.